The third betas of iOS 9 and OS X El Capitan launched today, and a new document outlining a revamped two-factor authentication feature built into the operating systems suggests we may be seeing public beta availability in the very near future. A support document accompanying the two-factor authentication changes explicitly states that it's designed for "the public betas of iOS 9 and OS X El Capitan." When Apple introduced iOS 9 and OS X 10.11 El Capitan at its Worldwide Developers Conference, the company promised that a public beta would be available beginning in July, so customers who are enrolled in Apple's public beta testing programs may not have much longer to wait to get access to the new software. It is not clear exactly when the public beta will be seeded to customers, but the wording in the support document suggests beta testers will be receiving access to the same third betas of iOS 9 and OS X 10.11 that were seeded to developers this morning. 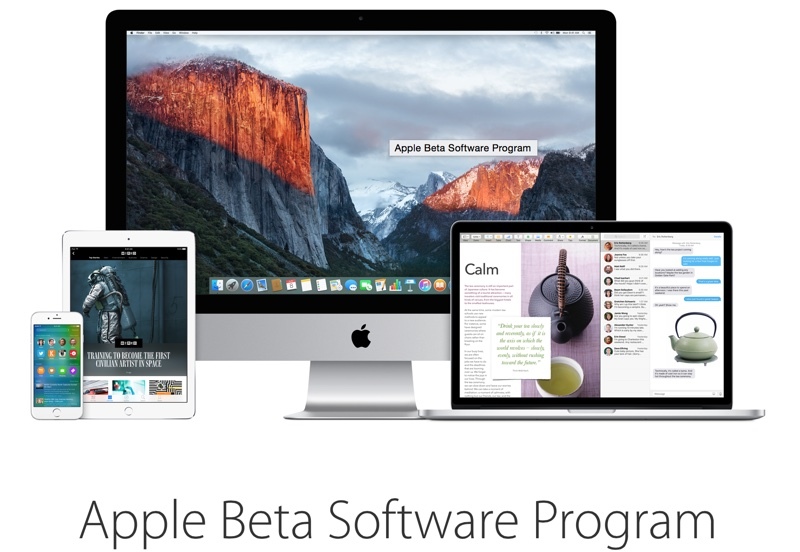 Public beta tests for major software releases are a relatively new feature from Apple, introduced for OS X with OS X Yosemite last year and iOS with the release of iOS 8.3 in March of 2015. iOS and Mac users can sign up for Apple's Beta Software Program on the company's dedicated beta testing site. Bring on all the idiots that thank a beta should operate like the release version and complain like crazy about little bugs. Far too many don't understand what beta means. Pretty soon, even non-developers will be getting the infamous "it's a beta" retort! And will still launch broken. Apple beta = alpha. RTM = beta. This is Tim Cook's Apple. Can’t wait for the public betas! Especially interested to try out iOS 9. Could you please explain this? Are "verification" and "authentication" two different services now? Is this different than Apple’s current “two-step verification” feature? Yes. Two-factor authentication is a new service built directly into iOS 9 and OS X El Capitan. It uses different methods to trust devices and deliver verification codes, and offers a more streamlined user experience. The current two-step verification feature will continue to work separately for users who are already enrolled. Im sure this was the first memo he sent out after taking the reins. I'm a Public Beta Tester for OSX and iOS. Would you developers say that it's stable enough to upgrade both? The OS X 10.11 betas have been fairly stable, although I generally don't run betas on my main Mac. Since you have the exact same machine as myself, I have to ask: How is the performance vs. Yosemite? Specifically, how is the UI, transition speed, etc. ?